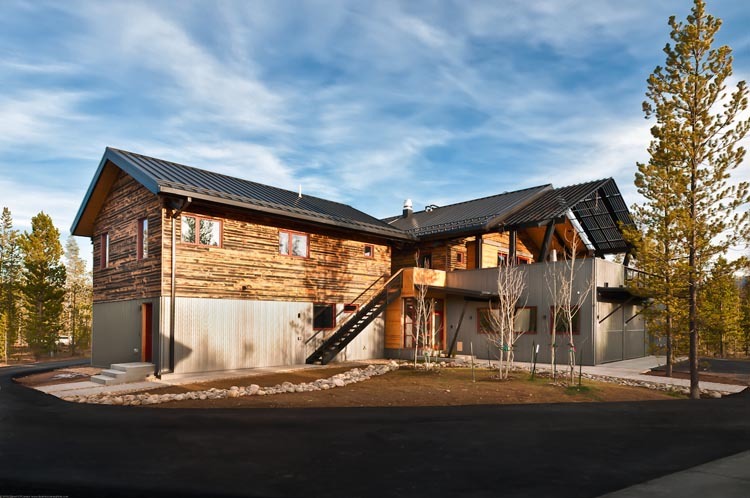 In Fraser, Colorado, there’s a new net-zero energy house that was designed with impressive active and passive building technologies. It’s grid-tied and all-electric, using no fossil fuels thanks to the solar photovoltaics and evacuated tube solar thermal array. But the house isn’t the only thing powered by the sun. The 17-kW array also powers two all-electric plug-in vehicles. 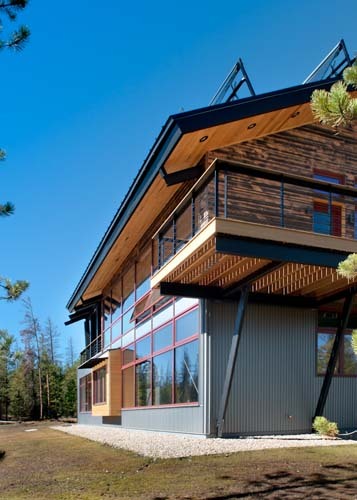 Also, the home is clad in Centennial Woods reclaimed snow fence and Umicore corrugated zinc siding, both of which contrast well with exposed concrete floors and massive timber trusses. 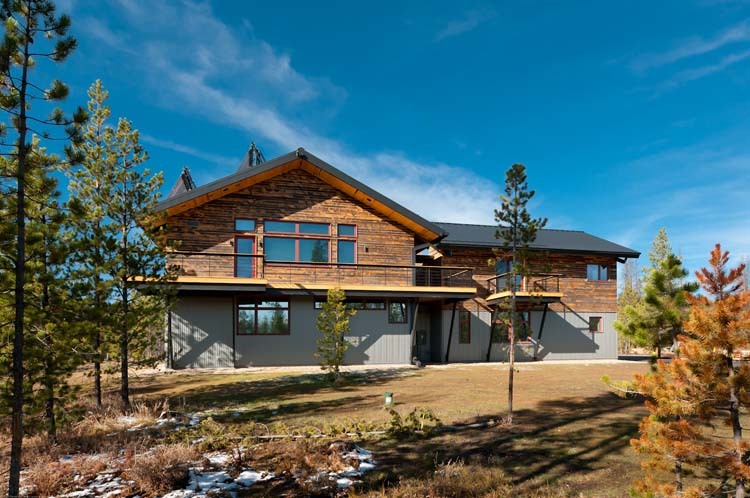 The Fraser Net-Zero Energy House is 5,232 square feet and built for the homeowner – an ultra-marathoner – with a home gym and Endless Pool, as well as regular living areas, a guest home, a two-car garage, and a woodshop outbuilding. oy. i’m not sure i understand the reason for going net zero when using XPS everywhere. it’s the building equivalent of training for a marathoner while eating wendys and mcdonalds every meal. you won’t trim the damage you’re doing to your body, despite how hard you train. Re: insulation, the walls are actually 4″ of XPS, wrapped around 7″ of closed cell urethane foam. There is a good debate going on about the merits and carbon foot print of EPS and XPS if you take a look at EBN. Worth considering. i hope that’s a water-based blowing agent, otherwise there was really no point in going net zero. How very exciting. 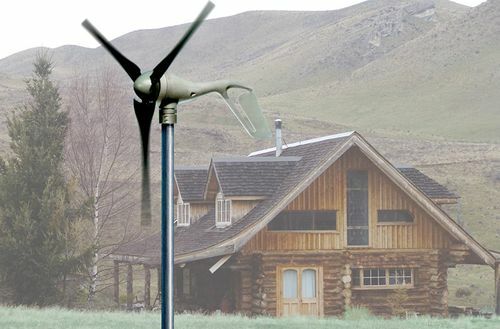 Great to see this movement for zero energy. 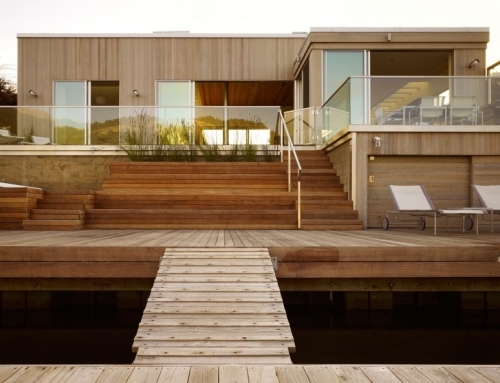 Yes – this is an incredible home. I’m seeing steel in the huge overhang, lots of nice exterior wood, in addition to seriously expensive Serious windows and – wow – sliding doors. 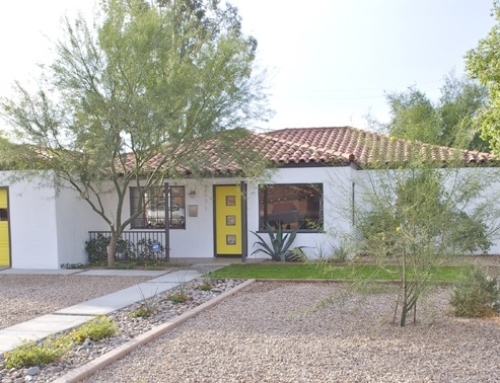 As a builder oriented towards cost vs performance metrics, using DOE’s Builder’s Challenge design methods to control costs for average Americans, I have to ask: WHAT DID THIS HOUSE COST PER SF?? We did not receive cost per square foot information on this project. I have to agree with Harris. 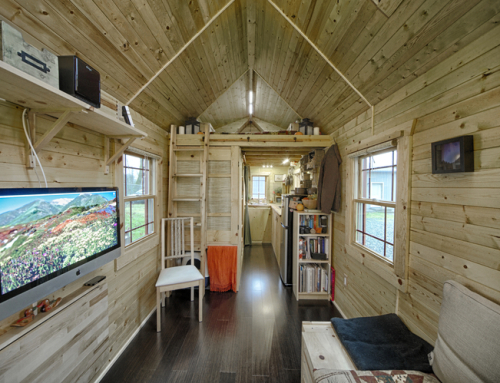 It’s hard for me to get excited about the design without unit cost and overall square footage. This is a huge house compared to an average home. 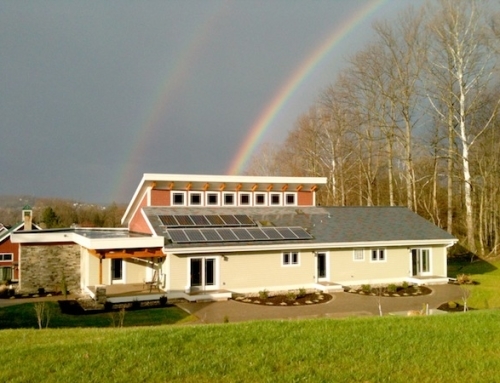 Net-zero appears to be a “loose” term with a lot of loop holes. What does home size or cost of construction have to do with being net-zero energy? Either you are or you aren’t. And it’s just over 5,000 square feet, as mentioned in article. 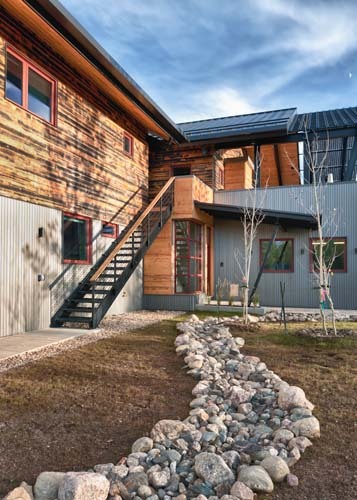 The term net-zero energy, like Preston clarifies, is simply an energy-in vs energy-out calc, with the nuance being in whether you are looking at site energy or not. It’s interesting to widen that to consider life cycle costing and embodied energy. That’s where questions about using petroleum based insulation, concrete, aluminum, carpet, glass, or other very high embodied energy materials really come into the calculation. 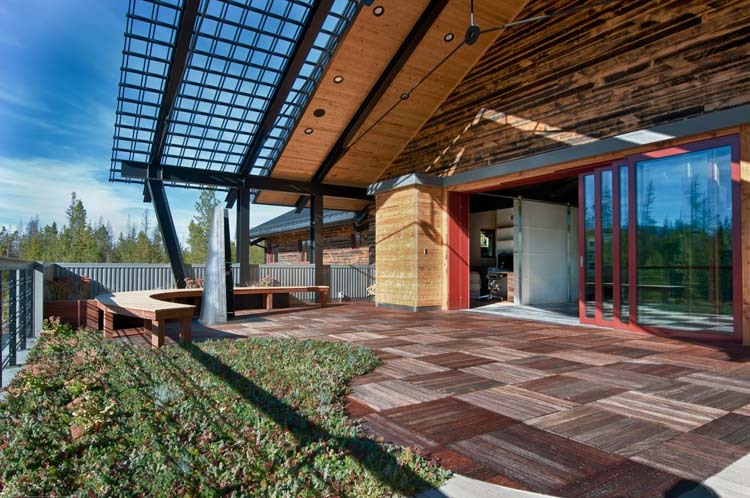 We like to consider embodied energy in our design as well, but this is a bit more of the high tech project, and our opportunities were to use reclaimed and local materials extensively. A point about the program…architects are often not in the position of making the project comply with their ideal circumstance. Most of the time, the job is what it is, and it’s our job to make the owner’s program sing. We do a lot of affordable housing as well, plus work for Habitat for Humanity, and those jobs receive their share of efficiencies. We’re doing one in Moab right now that will have HERS ratings of under 50, with no renewables. I’m amazed about where this house was built. Having lived in Colorado much of my life, I know that Fraser is about the coldest darn place in any US state anywhere outside Alaska. Its temperatures usually set records. 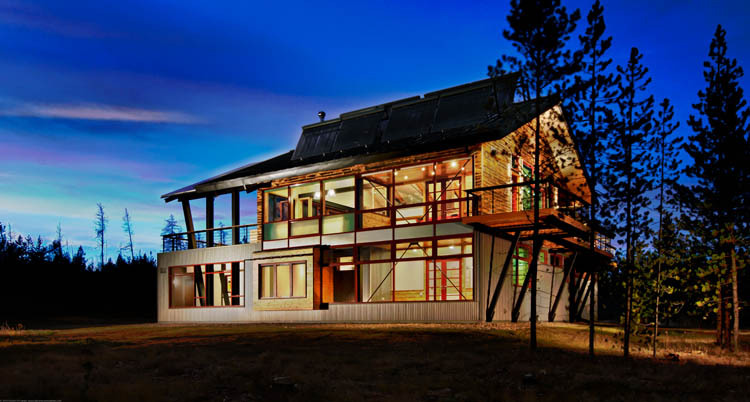 A very interesting place to build a net zero house. Wikipedia has this to say about the town: Fraser, with an annual mean temperature of 32.5 °F (or 34.8 °F based on another station in town) is the coldest incorporated town in the lower 48 states. Outstanding design. Great to see an architect really pushing the green envelope! 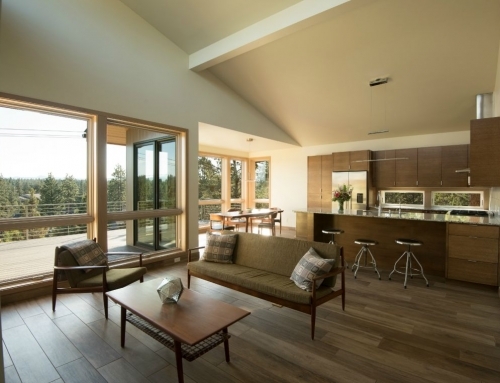 in every passivhaus project we’ve modeled, serious windows performed worse than thermotech. horrible color rendition and VT as well. for the region, they should probably have been triple pane and not double. I love it !!!! 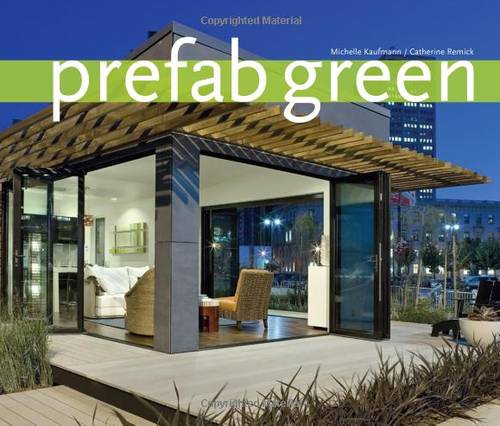 I am a Green NAR Realtor from Des Moines Iowa who is working to Green our MLS so I a thrilled to see this type of design. It is inspiring!!!!! I found this article while researching serious windows for my own alternative home. 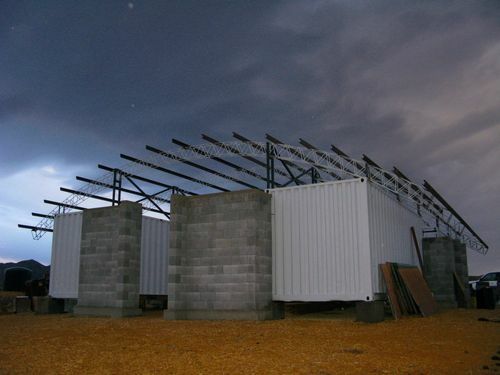 The one thing that caught my attention was the mention of a 17KW array. How much credit is given the solar thermal collectors (ETC’s) with regard to the solar array? 17-kW is a lot of panels and they did not appear on more than one photo that I saw (that photo had 15 panels worth), so I was wondering where the rest were. Were you counting average days total or physical size of system capacity for 1 hour? I have run into a lot of confusion lately regarding system size in total daily capacity vs. the number of panels available to generate electricity. There are PV panels on the roof trellis on the house, on the garage roof, and on a ground mount rack system. It’s a ton of PV, but there is no use of fossil fuels to heat whatsoever, not even as a back up. There are also 240 evacuated tube collectors on the house. Sizing the system can be a very specific exercise. This project is in an unusual climate: loads of sun, never warm. 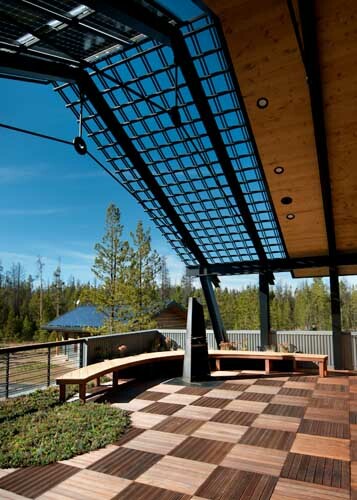 Our systems are right-sized against strong passive solar performance, and tempered against predictable weather patterns. The pv system size listed is panel output in kW. It’s the most portable number.